Give your environmental concerns a voice with this compilation of WordPress themes to use or find inspiration from. Global warming and climate change are one of the major concerns almost all people in the world have nowadays. More and more organizations have gathered to promote saving our environment as well as businesses offering different types of solutions to help Mother Nature. 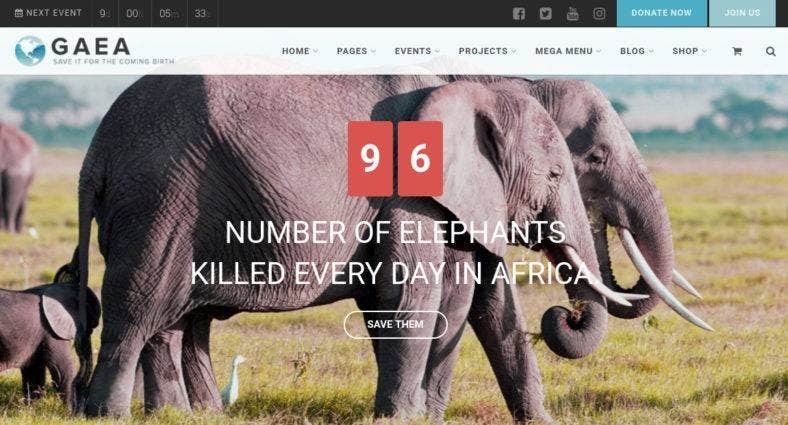 In order to reach out to more audience and spread your causes across a wide spectrum of concerned individuals, here is a list of ecology and environmental WordPress templates that you can dress your websites with. Packed with essential functionalities, these themes are guaranteed to give your missions the right platform to disseminate information that could be heard by anyone, anywhere. 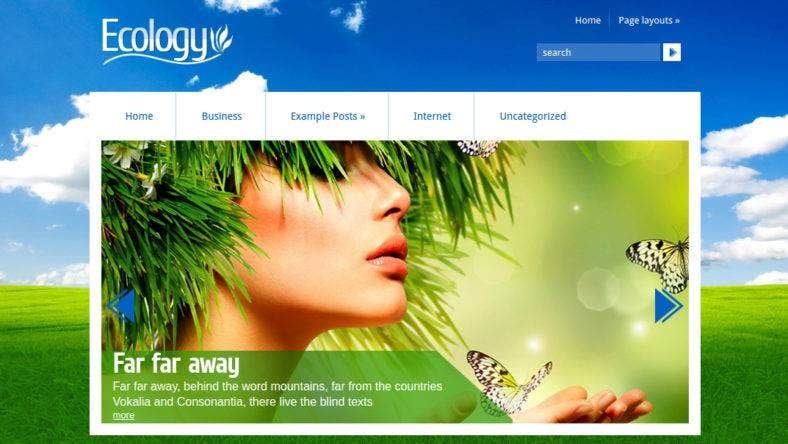 To start with, here is Eco Energy; an ecology WordPress theme that comes with a modern and industrial design. 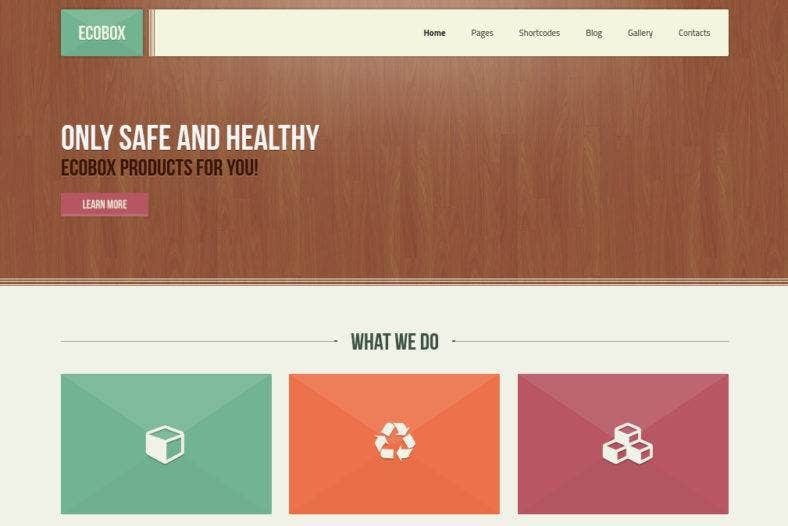 This theme is perfect for any energy supplier, recycling company, organic businesses. environmental non-profit organizations, and other eco-related websites. Packed with a slew of awesome features, this template is highly flexible and customizable. 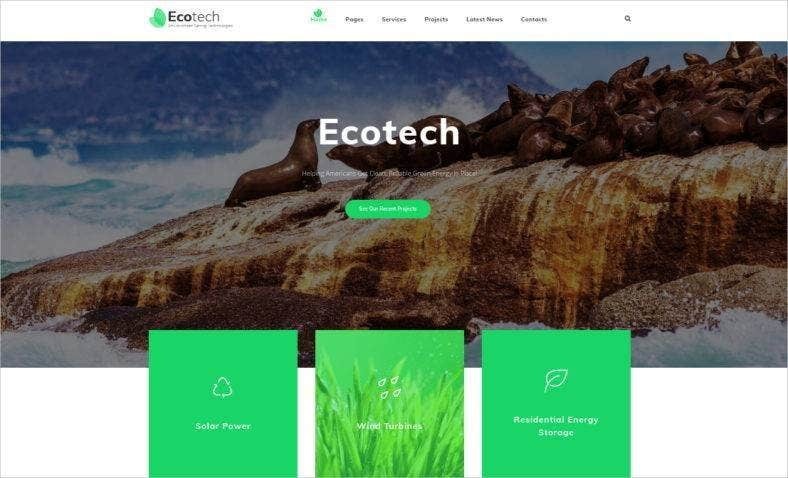 EcoTech is a modern WordPress theme that is integrated with essential tools that helps you showcase your environmental advocacies and services. 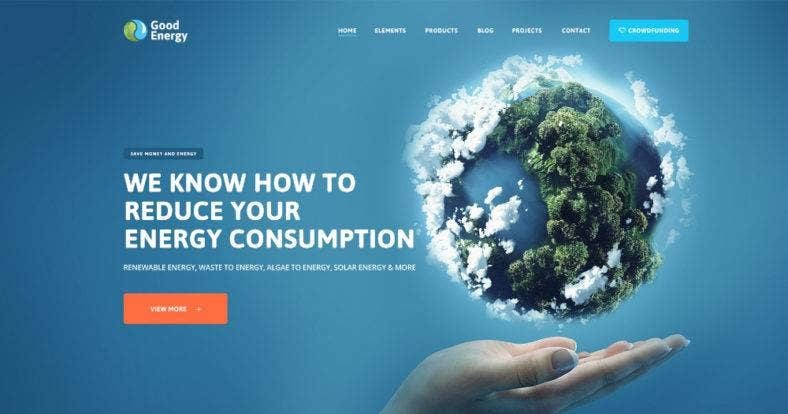 Features such as the Cherry Services and Cherry Projects plugin lets you create web projects for companies who innovates environment saving and ecology friendly technologies, including non-profits and charities. 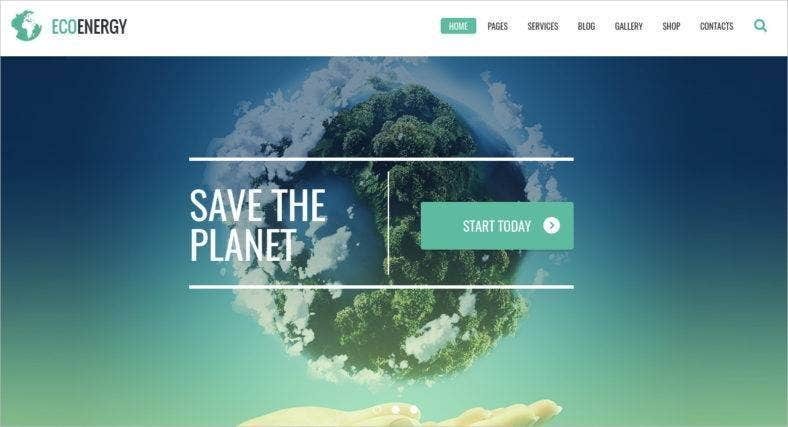 This environmental WordPress theme is an amazing template that is perfect for every environmental protection agencies. 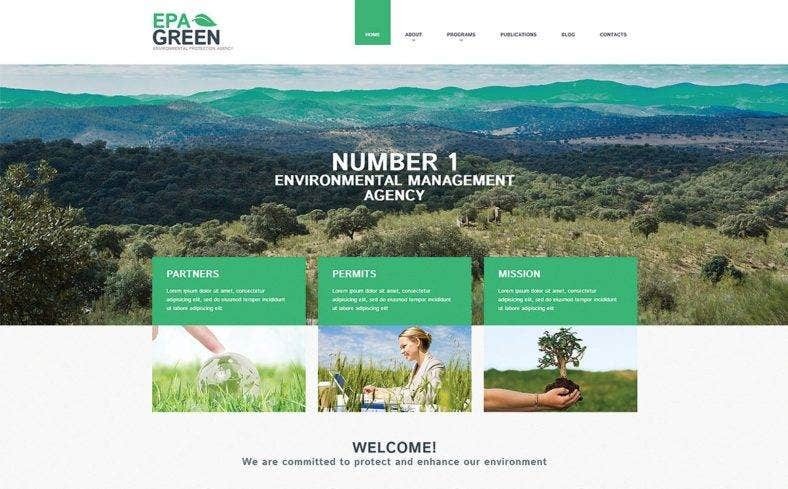 With a scheme that reflects the colors of nature and parallax scroll effect, Epa Green offers a stunning visual aesthetic that will surely catch the attention of every nature lover and philanthropist out there. An ecological WordPress theme, this modern and sophisticated template is built for a wide range of environmental niches like non-profits, ecology companies, recycling services, green technology and alternative energy businesses. 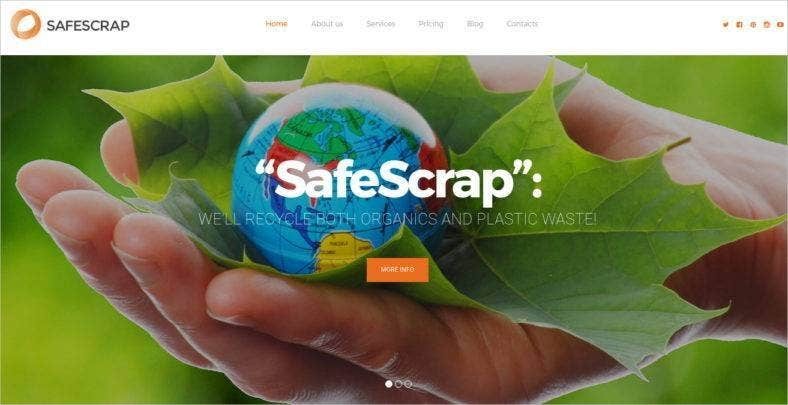 Safescrap comes with the WordPress Live Customizer to easily customize and personalize your website elements. EcoNature is another premium responsive WordPress theme that is characterized with a high quality design and excellent functionality. Its beautiful fullscreen image slider and full-width posts are just among the many features this theme possess that will give your environmental causes the attention it deserves. Its extremely custommizable to suit your business needs. The next template is a fully responsive WordPress theme that is also highly editable so it can adapt to all your content needs. EMpower includes a bunch of powerful features like the drag-and-drop page builder, live customizer, Cherry services, and multiple layout options. 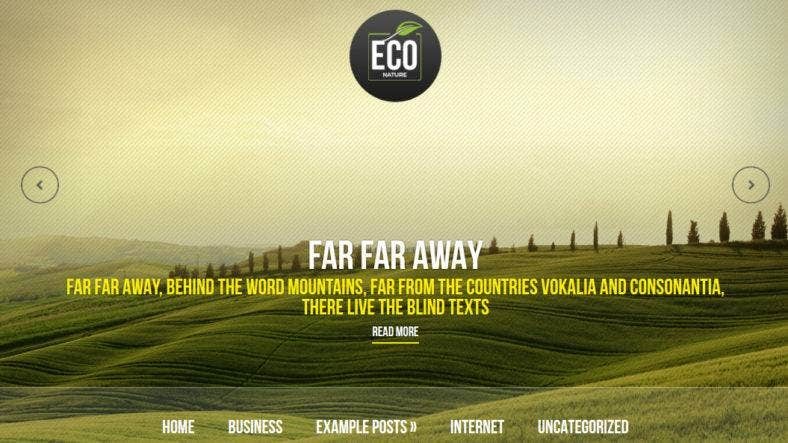 If you’re not yet ready to pay for a premium theme, then try Ecology. A free WordPress template yet, it includes a number of premium features in its arsenal. This theme is guaranteed to give your website a unique character with a nature-inspired web design. With an amazing combination of natural elements, this theme will surely bring your website to a new level. 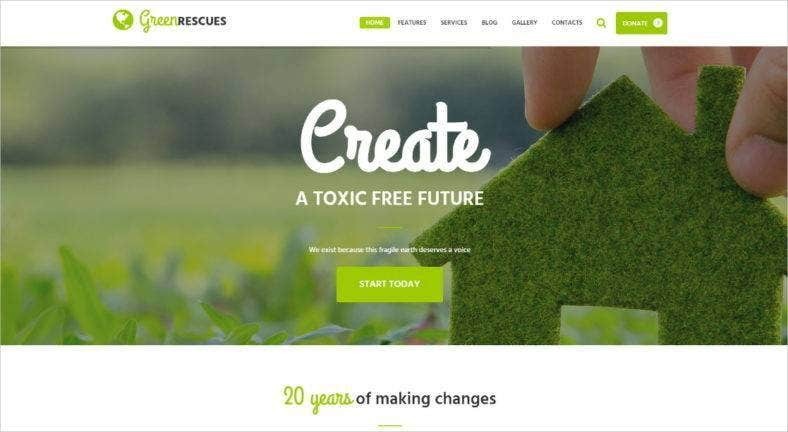 Green Rescues is the perfect theme to use for environment protection websites. This one-page WordPress template includes 3 homepage layouts to choose from to create the perfect website for your environmental concerns. It is also integrated with a perfect SEO optimization and great social engagement platform to reach a more vast and wide range of audience. Both a free and premium WordPress template, GreenGuard comes with rich and colorful features and lots of customization options for a price of none. Characterized by different shades of green on a full-screen image header, this theme is perfectly suitable for both personal and professional websites geared towards promoting environmental awareness. 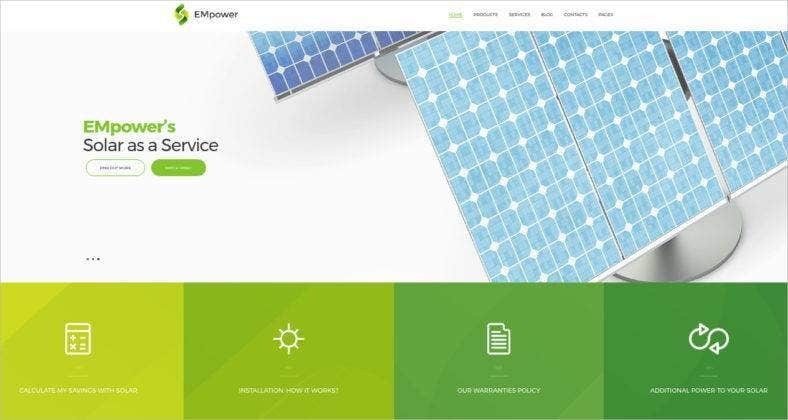 For ecology and renewable energy businesses, Good Energy is a modern and multipurpose WordPress theme. Loaded with cool features and a number of premium WordPress plugins, this template will help you promote your eco-friendly movements in an awesome way. Amongst this is the Visual Composer support, Essential Grid Plugin, and much more. A unique template than the rest of the environmental themes in this list, Gaea is not characterized by the usual natural green color scheme. It features a clean and fresh visual aesthetic that lets your visitors focus more on the mission and advocacy of your organization. This theme comes with 5 homepage designs, multiple header styles, and Megamenu. Ecobox is a responsive WordPress template with an eCommerce capability that allows you to sell eco-friendly goods and products. It has a unique and clean design with 6 homepage layouts, various numbers of columns for portfolio layouts, 5 blog pages, and other inner pages choices. This theme also comes with a flat design aesthetic for a modern and quirky look. With these templates and themes, you will be able to give your eco-friendly website the character it needs for people to realize the importance of your cause and the necessity of the solutions your businesses are offering. For more inspirational designs, you can take a look at premium WordPress themes of the month.